We're looking for enthusiastic, personable Brand Ambassadors to work on behalf of our clients in Exeter - including a lovely high-end supermarket chain, where you'll be sampling a variety of lovely food products to their very friendly consumers. This is a lovely opportunity to work on behalf of a number of top-name food and drinks brands, allowing customers the chance to trial their products in store - and as this is an ongoing contract with Mash, there is potential for you to take on regular work in your store, with up to 6 shifts per month available depending on the time of year. 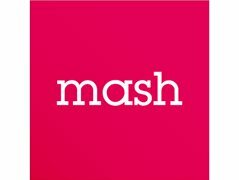 We also work with a range of other clients across a variety of sectors - including automotive, technology, corporate events and hospitality - so joining Mash as a Brand Ambassador is a great chance to join an award-winning agency and a number of top-name brands. We're holding interviews on Tuesday 19th March in Exeter, where you will be meeting with a member of our Talent team to discuss the type of work we do, and whether it would be right for you. All shifts are paying £10 per hour on an agency worker basis. This means you're able to choose to be booked only on dates that fit around your schedule - meaning this type of work suits students, actors, and parents, as well as anyone who needs flexibility in their work. Please apply online and one of our lovely team will be in touch!